As tributes were paid this week to Johan Cruyff, following his passing at age 68, reference was made to him being a 'total footballer' and the heart of a fantastic Ajax side, but perhaps few fans of the modern game know what he and that team have meant to the way football is now played. 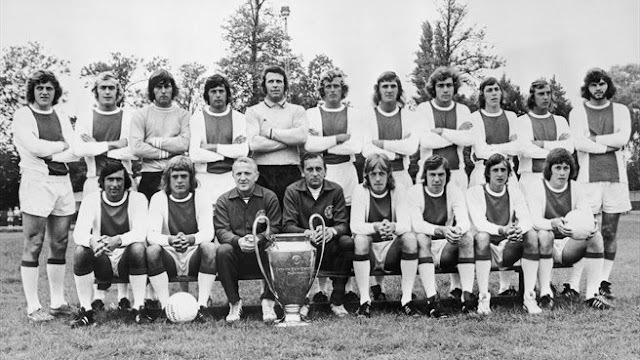 Ajax of the early 1970's might not be the greatest team ever, but it's hard to argue that they aren't the most influential. Prior to 1954, the Netherlands had been a minnow of European football with a national side that rarely won and a disorganized amateur league structure. But in 1954, professionalism came to Dutch football and with that came the impetus to improve the way the game was played by both clubs and country. 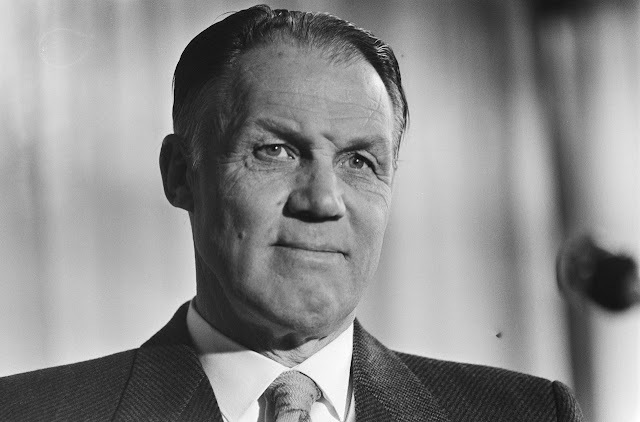 At the forefront of the Dutch football revolution was Ajax, who had a tradition for attractive passing football going all the way back to the First World War when they were under the helm of forward thinking English manager Jack Reynolds. Reynolds set the club up so that all levels, from the first team all the way down to the youth sides. It's a tradition that Ajax has continued over a hundred years later. The revolutionary coach from Manchester would be associated with the Amsterdam club for 27 years and lead them to 8 League Championships. Rinus Michels, a former pupil of Reynolds, had carved out a twelve year playing career for Ajax between 1946 and 1958 scoring 122 goals, but it was his appointment as manager in 1965 that would change the course of the club's history. Bringing along youngsters such as Johan Neeskens and Johan Cruyff, Michels transformed a relegation threatened club into league champions within a year. This required players that were tactical adept and very flexible. Of course the physical demands on the players was also high as they moved around the pitch plugging gaps and making intelligent runs. The role of Ajax's star forward Cruyff was also key to this system, as he would roam across the front line or back into midfield causing damage all over the pitch. Spaces he left open in his side's structure though were quickly filled by a teammate. Spatial awareness, in terms of where players should move and where they should not in relation to their teammates and their opponents was critical to this system. The impact of Michel's new system saw an Ajax reach the European Cup Final in 1969 where they would get turned over 4-1 by AC Milan, but the experience of playing in such a match would stand them in good stead. 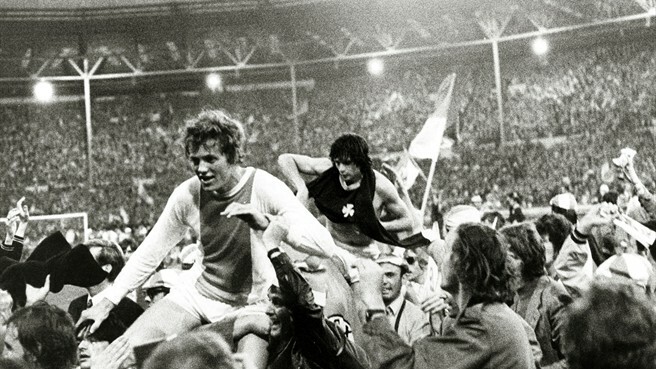 In 1971, Ajax defeated Panathinaikos 2-0 at Wembley to capture their first European title and cap a run that even survived the departure of Michels to Barcelona following this victory. Under the less demanding, but more even more attack minded, Stefan Kovacs, Ajax accumulated a staggering 46-0-0 record at home in domestic football during 1971-1972 and 1972-1973, while also scooping up two more European Cups in those seasons with a 2-0 victory over Inter in 1972 and a 1-0 win over Juventus the following year. This era of Ajax dominance would come to an end in 1973 with the departure of Cruyff to Barcelona. Cruyff and Michels, reunited at club and country level, were able to bring their Total Football style over to the Dutch national side, as they strode to the World Cup Final in 1974. Although there have been modifications down through the years, this style of play was at the heart of Pep Guardiola's Barcelona, who some consider the best club side ever. What former Manchester United manager Sir Alex Ferguson called their "carousel of passing" was only possible by controlling space and always giving each other passing options. Whenever this side lost the ball, which was rare to begin with, they were setup to quickly win it back. Modern day Barcelona, still owe much to Michels and Cruyff and the ideas they put into practice over four decades ago.